Many wildlife species across America are in decline. Today, one third of bird species in North America are in need of urgent conservation action, over 40 percent of freshwater fish species are at risk in North America, and over 40 percent of amphibian species (frogs, toads, salamanders) are threatened or declining in the US. The need for action is immediate. State Fish and Wildlife Agencies are our nation’s front line defense system against declining wildlife populations. These critical agencies provide the expertise, labor, and leadership for many on-the-ground efforts to conserve wildlife. These efforts include management of threatened and endangered species in addition to proactive conservation practices that prevent species from needing emergency room measures, like listing under the Endangered Species Act. However, these agencies are severely underfunded. Proactive wildlife management can save American tax payers money by preventing species from becoming listed under the Endangered Species Act, but this is not possible without initial investments in state conservation efforts. As an example of this type of investment, the federal State and Tribal Wildlife Grants provide critical funds that allow all wildlife, not just species that are traditionally hunted and fished, to be managed in a cost effective and proactive manner at the state level, with strategies driven by each state’s unique conservation needs. These grants allow State Fish and Wildlife Agencies to implement their State Wildlife Action Plans. These plans act as blueprints for protecting each state’s “species of greatest conservation concern”- also considered species at risk of decline. State Fish and Wildlife Agencies have identified 12,000 species nationwide in greatest need of proactive conservation action. Species that have suffered dramatic population declines but are not listed under the Endangered Species Act include the monarch butterfly, eastern meadowlark, and Northern leopard frog. Funding wildlife diversity programs like the State and Tribal Wildlife Grants enables state agencies to perform species restoration and habitat management, as well as understand why they are declining and what other actions might help them. Wyoming is just one state that benefits greatly from state wildlife conservation funding. Wyoming’s Wind River Mountains are the origin of the Green River, a large western river that flows hundreds of miles from Wyoming through the southern desert regions to meet the Colorado River. This river offers habitat to three species of fish that have benefited from State and Tribal Wildlife Grants: The bluehead sucker, flannelmouth sucker, and roundtail chub. Today, the outdoor recreation industry contributes $887 billion to our national economy annually, creates 7.6 million direct jobs, and generates $124.5 billion in federal, state, and local tax revenue. Hunters, anglers, birders, hikers, campers, and backyard wildlife watchers have created a rapidly growing outdoors consumer base that depends on healthy wildlife populations, and the rising wildlife crisis poses a threat to this vibrant industry. Proactive conservation efforts and hands-on wildlife management can help stabilize the outdoor economy and reduce the risk that species will become listed under the Endangered Species Act. This will help local businesses that depend on access to wildlife and wild places. In addition, this will help other companies that use natural resources by providing regulatory certainty and reducing risk. As an example of how local and state economies depend on healthy wildlife, last year’s massive die-off of mountain whitefish resulted in the closure of a 183 mile section of Yellowstone River, costing one county in Montana between $360,000 and $524,000. Small river towns like Livingston, Montana, depend on the state’s $343-million dollar fishing industry and river recreation, and without healthy fish and rivers local economies suffer. While State and Tribal Wildlife Grants have facilitated successful conservation efforts across the country, the wildlife crisis requires a more substantial source of dedicated funding that State fish and wildlife agencies can rely on from year to year – funding that will enable them to create a conservation legacy that benefits all Americans. 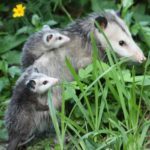 Today, wildlife from every corner of the US face threats in the form of habitat loss or fragmentation, competition from non-native species, and stressors related to extreme weather. Combined, these factors are forcing more and more wildlife into the pipeline for listing under the Endangered Species Act. Wildlife and the habitat they depend on power the growing outdoor economy and allow Americans from all walks of life to experience the wonder of nature. Please thank your Members of Congress if they supported robust funding for the State and Tribal Wildlife Grants Program this year, and ask them to create a dedicated fund to support state fish and wildlife Agencies in their efforts to Recover America’s Wildlife.